Address: 618276 Permskaya obl., Gremyachinsk, Lenin st., 100. Zapovednik Basegi, in the eastern part of Permskaya Region, was founded in 1982 for protection of typical sites of mountain taiga. Its area is 37,9 thousand ha. 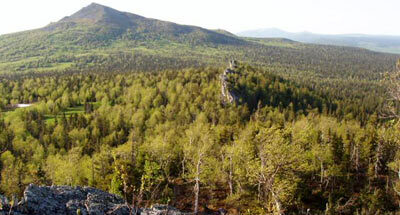 The Zapovednik is situated on the west side of the Middle Urals; it occupies the mountain ridge Basegi, the only site in the Middle Urals with primary taiga forests. The relief is complex: a combination of mountain ranges with mounds and tongues of scattered broken rock and narrow river valleys. Absolute heights reach 1000 m above the sea level. 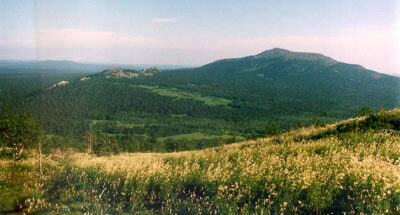 Mountain-forest and mountain tundra height belts are present. 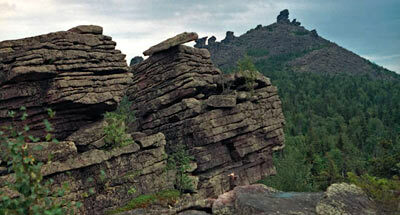 The mountain tundra belt is formed from thick paludal dark coniferous taiga. In the subgdets belt there are to be seen Parks of open woodlands, croocked forests can be met. Flora and fauna includes both European and Siberian species. Flora accounts for more than 400 vascular plants species, including more than 45 rare and valuable species. More than 15 species belong to endemic and relict species (Anemonoides biarmiense, Rhodiola iremelica, Dryas punctata, Cotoneaster melanocarpus, etc.). The fauna is represented by more than 50 mammal species. Elk, reindeer, roe are met; marten, least weasel, common weasel, Siberian weasel, lynx, brown bear are common; wolf, skunk bear enter the Zapovednik sometimes. Birds count more than 150 species, including wood grouse, black grouse, hazel grouse. Of rare birds peregrine falcon and erne are nesting; fish hawk and golden eagle are noted during migration. In the rivers valuable fish species (taimen, grayling) spawn.